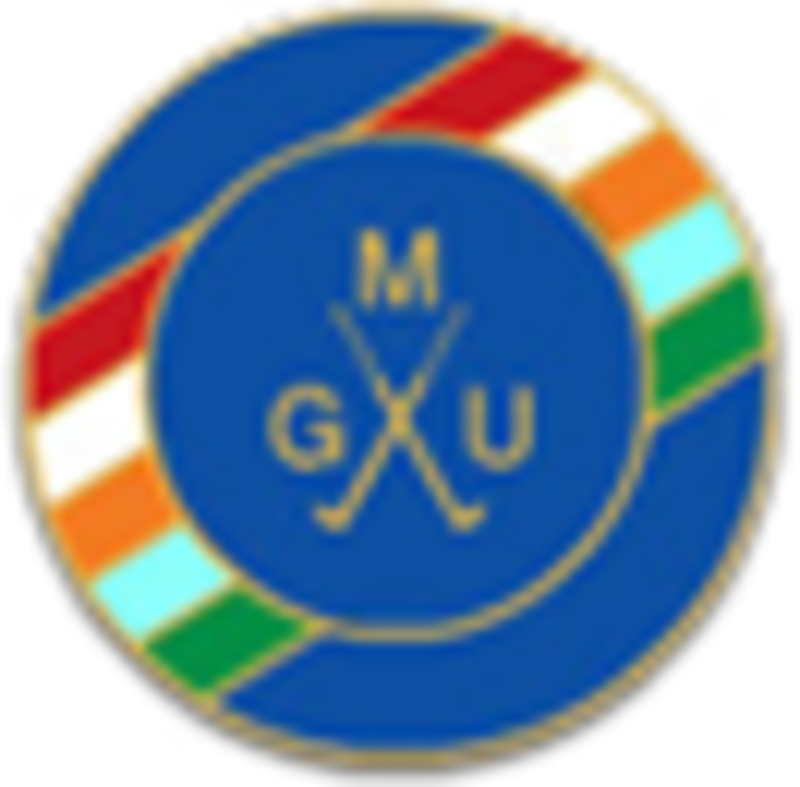 County Vets News :: The Union exists to promote golf in the County and to provide competition for the top county players as a route to Midland and International golf. The season has started very well for the First Team. On 1st April we visited Edgbaston Golf Club to play the inaugural match with the MVLGA Presidents select team, who gave our team a very warm welcome and so did the sunshine. Both teams fielded 12 players with handicaps of 7 or below and the match was played as 4BBB off scratch and resulted in a draw. Many of the matches were very closely fought however Julie Brown and Julia Gaunt had a convincing win 7 & 6 with Julie Brown playing some outstanding golf having several birdies and an eagle! On 16th April we played a friendly match against the County 2nd Team which we hosted at Brocton Hall Golf Club and once again we were blessed with good golfing weather except for a little rain just at the end. This match is played as a 4BBB 90% difference with 8 players per team and our team came out as 3 - 1 victors with 2 wins & 2 halves. I was there to support the team and enjoyed watching some excellent golf and with the final two fourballs going all the way to the 18th and halving it was very tense. We are looking forward now to our first intercounty match with Derbyshire Senior Ladies on 13th May, closely followed by our first cup match on 20th May against Worcestershire at Moseley and on the same day our friendly match against Shropshire at Llanymynech. "David and family were overwhelmed by the number of cards and messages of sympathy received following Jill's untimely death. There are barely enough words in the English language to cover the views expressed;- saddened, shocked, untimely not to mention the positive ones smiling, helpful, courteous. They would like to offer their sincere thanks to all and particularly to all those who came to the Requiem Mass and afterwards to Brocton Hall. I hope we gave her a fitting farewell." I’m sure everyone wishes them all a happy and successful 2019 with lots of good golf. Our thanks go to our past Captain, MrsChristine Davies. She has had very successful and happy year and provided invaluable support to the association and all the teams. Please see the events section for details of next year’s competitions. We would also like to thank our retiring Treasurer, Mrs Jill Sly, for all her hard work and dedication over the last seven years. We wish our new Treasurer, Mrs Wendy Lewis, every sucess. This year the Midland Team Championship was held at Luffenham Heath Golf Club (Leicestershire and Rutland) on 10th, 11th and 12th October. There were 11 Counties represented with 18 teams of four players taking part. The team event is played over two days playing 18 holes on each day. This year , however, because of deteriorating weather conditions day 2 was reduced to a 9 hole competition. The best three scores out of four from each team on both days are added together to determine the winners of the Championship. Staffordshire first won the Trophy in 2014 but came a very close second to Northamptonshire the following year. We then won the Championship in 2016 and 2017. This year we completed the hat trick and won for the third consecutive year. Well done to Staffordshire’s 1st Team comprising of Sue Spencer, Caroline Corrigan, Bev Chattaway and Sally Sketcher. What stars! 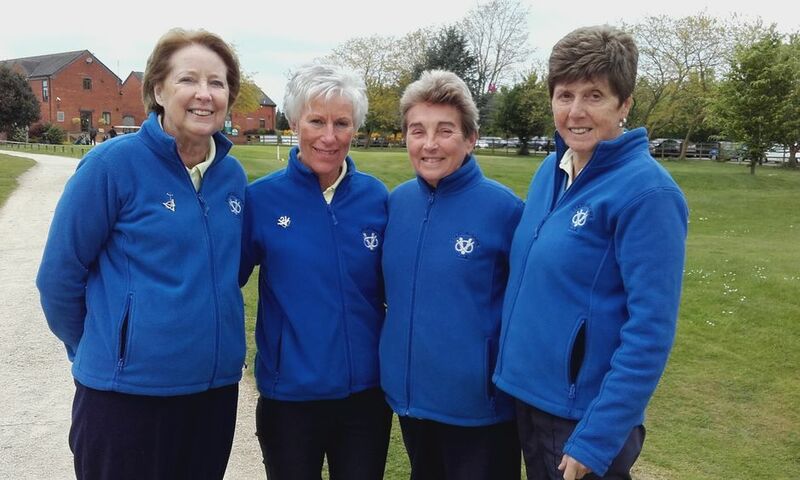 Staffordshire’s 2nd Team comprising of Corinne Tooth, Jayne Fletcher, Bridget Locke and Diane Gillen also had an excellent Championship finishing 7th Gross and 6th Nett. Well done to you all! Bev Chattaway and Caroline Corrigan came 2nd in the Greensomes Stableford (held on Wed 10th) losing out for first place on countback. Sue Spencer also won the longest drive on day 1 of the team event and won the nearest the pin prize on day 2. Thanks also to Chrissie Hopkins, Sue Simmons and our Captain, Christine Davies, who were there for the duration of the Championship lending support whilst enjoying some great golf. Well done Staffordshire! A great end to our 2018 season!! Please see the events page for the 2019 competition and match dates. It was the ladies turn to host this event which took place at Brocton Hall. At the request of the gentlemen, this was brought forward this year into September. It is played as an am/am; 90% handicap with one lady and one gentleman to score on each hole. The weather was quite kind although it alternated between chilly and very warm. Brocton had started their Course Maintenance programme the previous week so there were some interesting comments about “putting” as not all of the top dressing had infused into the sub-soil. It was as usual, an excellent day with much camaraderie and interesting speeches! This was the first year for many that Terry Henwood had not organised this on behalf of the gentlemen. A sad “farewell”, although Terry still played in the team. Thanks for all your hard work, funny stories and jokes over the years Terry. He has handed over to Andy Guy. We wish you success in the role Andy and for your wedding on Saturday. Steve Wild gave the speech on behalf of the gentlemen. My thanks go to SUGC Senior Captain, Mark Ashton, Mick Tooth and our Lady President, Di Gillen with whom I was playing. Sorry that I didn’t back you up more. As usual the men were very kind and considerate in supplying the bottles of wine for the prizes. Bridget Locke, Anne Fern, Pete Cole and Colin Woolley came first with 78 points. Second, with 77 points were Jules Heath (Vice-Captain), Pam Bailey, Andrew Dathan (Chairman of SUGC Senior Section) and Martyn Pearce. Many thanks go to all the ladies and gentlemen who played in this most enjoyable of competitions. The Championship for 2018 was held on the Lodge Course at Enville Golf Club on Friday 31st August. After a long hot dry spell of weather the courses are all showing signs of good recovery and the Lodge Course was no exception. Weather on the day was perfect with long spells of sunshine. The Championship Trophy was won by Sue Spencer (Whittington Heath) with 77 Gross. The winner of the Doreen Banks Salver was Diane Gillen (Stone) with 89 Gross. Best Nett was won by Lin Toft (Uttoxeter) with 71 Nett. Thanks go to Enville Golf Club for allowing us to host this event at their club and also to the Greens Staff for preparing the course in such good order. Many thanks to all the helpers on the day and special thanks to Jean Livingston who helped on the desk all day - thank you, as always, your help is invaluable. We won, either 6:1 or 7:1 ? Read on. This was a Staffordshire home fixture and was played at The Chase G C and we thank them for their hospitality and the lovely food. So - back to the result. Unfortunately Leicestershire could only get 14 players for this match so, do we cut our team to 14 or increase Staffs participation? After talking this through beforehand with the Leicestershire Captain, we decided to play this match off handicap, rather than Scratch. Prior to the day I spoke with our two lowest handicap players, Debbie and Sue to see if they wished to drop out – not a bit of it they both responded. So I decided to give two players from the 2nd Team, Cynthia Butler and Jackie Jennings, both of whom had dropped their handicaps, so were no longer available to play for the 2nds, the opportunity to play. Both grasped it with both hands. So, if the actual match was for 7 pairs then we won 6:1, if 8, then we won 7:1. Got it? All the above just reiterates what an exceptional bunch of ladies we have playing for Staffordshire. Thank you from a very proud Captain. Following our draw with Worcestershire in July we needed to beat Warwickshire by a greater margin than 5- 3 to win the cup. An eager team arrived at Shirley Golf Club and all hit magnificent opening tee shots however, after 9 holes we only led in two matches. Energy boosted by chocolate bars the determined players set off on the back nine with great hopes of fighting back but despite their hard fought efforts we lost the match 51/2 - 21/2. A big thank you to all the ladies who have played for the 2nd team this year it has been a pleasure to watch you play with such enthusiasm and determination. This was a Warwickshire home fixture and was played at The Robin Hood G C in Solihull. For the first time in a couple of months we saw and played on green “fairways”. We can only assume that there is a watering system in place? Robin Hood gave us a good test of golf with four of our eight matches still “alive” at the 17th hole. Both the 17th and 18th holes are par fives. I am delighted to report that we won all four, giving Staffordshire a victory of 6 matches to 2. Absolutely exceptional ladies. As usual, there was much banter and camaraderie, especially around the tables at the meal following the match. A great advert for Vets golf. The Inter-County Trophy (for the 1st Team) was initiated in 1998 by our own Captain that year Una Boyd, who was a member of Whittington Heath. I am delighted to report that in the twenty years over which it has been played, Staffordshire have won it on nine occasions, this win being our fifth consecutive year. On the same day as our 1st team were playing Warwickshire the 2nd team were all driving across the Derbyshire peak district to play a friendly match against Derbyshire at Chatsworth Golf Club. Whilst playing the players were treated to some stunning views from this 9 hole course especially of Chatsworth House and its gardens this didn't distract the team from their games. After 7 games the match was all square and with the last pairing of Sue Butler and Ann Partridge coming in with a vital win they secured a 41/2 to 31/2 victory. 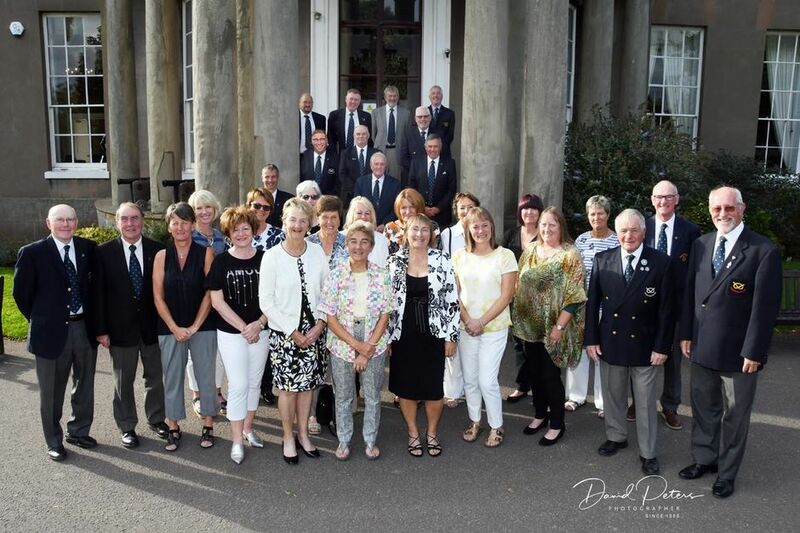 This year the Lady Captain's Day was held at Brocton Hall, the home club of our Captain, Christine Davies. We had an excellent field of 180 ladies playing in a Stableford Three Ball Alliance. Due to the very hot and dry weather we have been experiencing lately we all found the ground conditions quite difficult with balls bouncing all over the place! However, the course was excellent, as always, and thanks go to the greens staff for all their hard work. Thank you to Brocton Hall for making us all so welcome on the day and many thanks to all those who helped out on the day to ensure everything ran smoothly. Many thanks, also, go to our Captain, Christine, for providing us all with refreshments at the halfway house - the Prosecco went down a treat and the delicious cakes were very welcome! Ladies, thank you all for playing and making the day so special. I hope you all enjoyed it as much as I. Thank you for your cards and gifts, which will be a wonderful memory of my day. I am sure you would all like to know that the raffle raised a wonderful £360. This is to be shared between The British Heart Foundation and Parkinson's Disease UK. Thank you, as always, to Sue (Simmons) for all her hard work and organisation. Thank you once again Ladies. After the original match date in April had to be cancelled due to the atrocious weather, we welcomed the Worcestershire & Herefordshire team to Barlaston Golf Club in glorious sunshine. The players were all watched off the first tee by Worcestershire & Herefordshire's Vets President and Captain and Staffordshire's Vets Captain & Vice Captain who all then watched some nailbiting matches come to their conclusion. The tightly fought match finished up as a 4-4 draw. Players all enjoyed an excellent meal afterwards before leaving to watch England play their semi final match in the World Cup. On yet another fabulous day of weather forty players arrived at Ingestre Park Golf Club to vie for the Snelson Trophy. This is a match between a 1st Team Squad and a 2nd Team Squad. It is played as a 4BBB Stableford, with 20 players a side. With the current dry conditions there were some unusual places from which balls were being played! As one would expect each “match” was keenly contested with the 2nd Team coming out victors by 10 Stableford points. Thereby getting the Trophy back from the 1sts! This is a great occasion and event and the only time during the year that SVLGA members get to play with, and against, each other. The camaraderie on and off the Course was superb. Thanks must go to Ingestre Park for the presentation of the Course and the catering both before and after the match. Any member having to cancel must notify her own representative who may have a substitute player. Failing that your representative should contact the Competitions Secretary as soon as possible. In addition, the following may be of interest to you. When you become a member of the SVLGA we only collect the details required to be able to contact you with information relating to our activities. 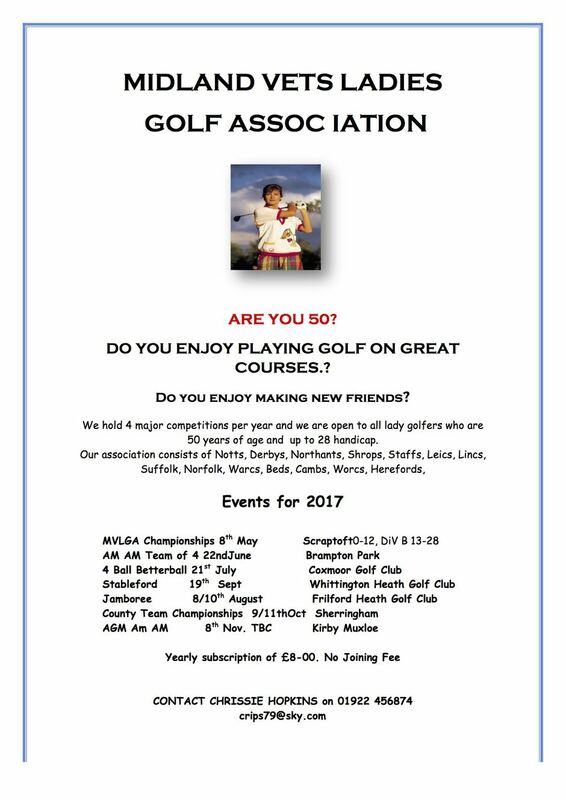 This information includes your email address, telephone numbers and handicaps. We wish to ensure that your personal information is accurate and up to date. You have the right to ask us to correct or, erase information that you believe to be inaccurate. You have the right to request that any data about yourself is removed from our files. 4. Exceptions to the above. Personal details would only be released to assist the emergency services if a member became unwell whilst engaged in a SVLGA competition or match. On behalf of the SVLGA Committee. The Nellie Wood Trophy for 2018 was played at Brocton Hall Golf Club on Thursday 24th May. We had quite a difference in the temperature on the day as the ladies playing in the morning found it very chilly whilst the afternoon players had much warmer conditions. Fortunately for all it remained dry all day! This year we had a record number of entries - - 194 ladies entered and we finally managed to secure places for 180 players. This is a great situation for us to be in and I must applaud the enthusiasm of our ladies and thank you all for your excellent support. The Nellie Wood Trophy was won by Sue Spencer from Whittington Heath with a score of 39 points (back nine 18 points). 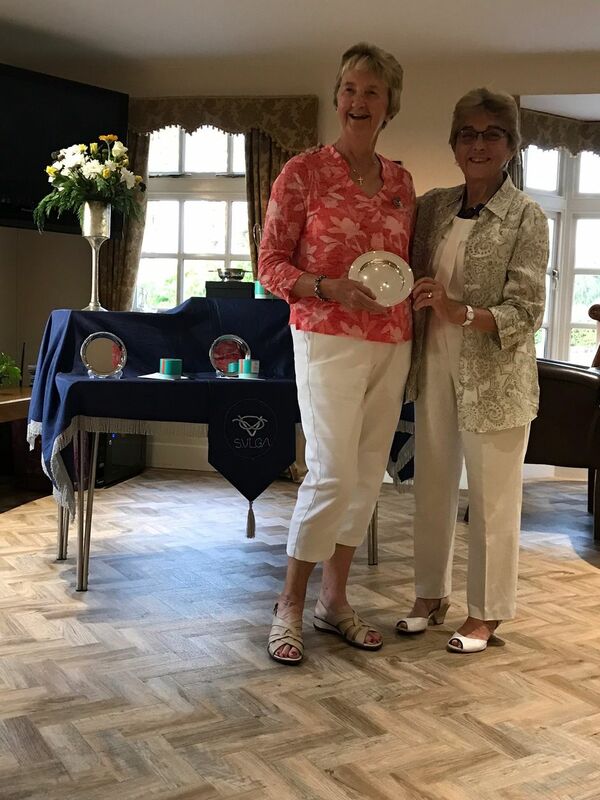 The Vintage Salver was won by Gill Greaves-Bentley from Ingestre Park with a score of 38 points. The course was in excellent condition and many thanks go to the Head Greenkeeper and his staff for preparing the course so well for us on the day. My thanks go to all the many helpers provided by Brocton Hall and especially the ladies who helped out on the desk and also to Diane Bell (SVLGA delegate) for all your help in the organisation of the day. Many thanks also to Jean Livingston, Penny Speer and Jill Sly (from the Association) for your invaluable help with the cards - much appreciated! Our Captain, Christine Davies, would also like to thank all the ladies who contributed to the raffle. An excellent £367 was raised which is to be shared with The British Heart Foundation and Parkinson's Disease UK. Thank you ladies! Venue - Handsworth G. C.
Well, yet another fine, dry day with some great golf. This match is played off handicap and, as per our match last week against Derbyshire, it all came down to the last match, which Staffordshire won, giving us the overall match win. All “Vets” matches are tough and exciting and this one was no exception especially as in all the games the lowest handicap player was from Staffordshire, meaning we were giving shots. So if you think I have lost weight when next you see me it is all down to tension and nerves! Handsworth are having a lot of work carried out around the 12th/13th holes and the blue netting used to define the area caused a little consternation for some players but, they survived. The rest of the Course was in good condition and the visitors couldn’t believe that such a splendid Course existed in the middle of a housing estate. My thanks to Handsworth for all their help and especially to Emma for her catering organisation. What a brilliant match and fantastic day. This match is played off Scratch and was nail-biting down to the last match, which Staffordshire won – yippee. Kedleston was in great condition and the standard of golf was excellent. Indeed, in one match the four players came off stating that if they had been playing in an am/am the score would have been so good that there may have been a “steward’s enquiry”! Four matches went to the 18th hole and none were halved. Unfortunately, Derbyshire won 3 of these and Staffordshire 1. A similar case happened last year when four matches went to the 18th but, on that occasion Staffordshire won 3 and halved one. So this is always a well contested match, played competitively but, in a very friendly manner, which the laughter and camaraderie in the dining room confirmed. My thanks to the Immediate Past President of Derbyshire, Maggie Wylde for acting as Starter and to our Immediate Past Captain, Ann Tweddle for coming to Kedleston, keeping me company and for being there to see all our matches through the 9th. On Friday 11th May we got our season underway with a trip to Willesley Park Golf Club to play a friendly match against Leicestershire and Rutland. Vets Lady Captain Christine Davies and myself went along to support the team and we watched an eager and determined team put in some excellent performances to win the match 6 1/2 to 1 1/2. Well done Ladies a great start to our season. On a dry day at Druids Heath the ladies from both teams enjoyed the warm welcome of the Staff at Druids Heath. The matches were played in a friendly manner and although Staffordshire won 7 -1, at least four games went to the 17th. My thanks to all the ladies who played this year for the third team and to Captain Christine Davies and Past President Brenda Parker for taking on the start of the day in my absence. Due to unforeseen circumstances we had two ladies unable to play. Northamptonshire agreed to Brenda playing with a handicap of 16 to partner myself, and for the match to count. This was good sportsmanship and gave their 8th pairing a game. A very good meal was provided by Druids Heath and judging by the level of noise, a pleasant time was had by everyone. Two weeks ago nine Staffordshire vets flew out to Biarritz to compete in the 20th Trophee Simone Thion De La Chaume and the Cup Simone Thion De La Chaume being played at Golf De Biarritz La Phare. Competitors in the Trophee were all handicap 6 and below and included 9 professionals. Sue Spencer played superbly in the first two rounds qualifying for the final day and finished with an excellent final round of 71 to clinch the best nett prize. Only 3 of the professionals finished above her. The remaining eight Staffordshire vets competed in the Cup (handicaps 6-12) and after the first two rounds four of our ladies qualified in the top 24 to make the cut for the final round. Jayne Fletcher put in an excellent final round which resulted in her winning second gross. Venue - Sandwell Park G. C.
This was a cup match for the Inter-County Trophy, which is played between Staffordshire/Warwickshire/Worcestershire & Hereford. After the dreadful weather which has blighted us up to this point, the staff at Sandwell pulled out all the stops to ensure the Course was playable. I understand that, whilst wet in places Sandwell played well, if a little long. The day was mainly sunny but, with a very chilly wind. I have to admire, and thank, all our players for giving such an excellent performance. Thank you one and all. 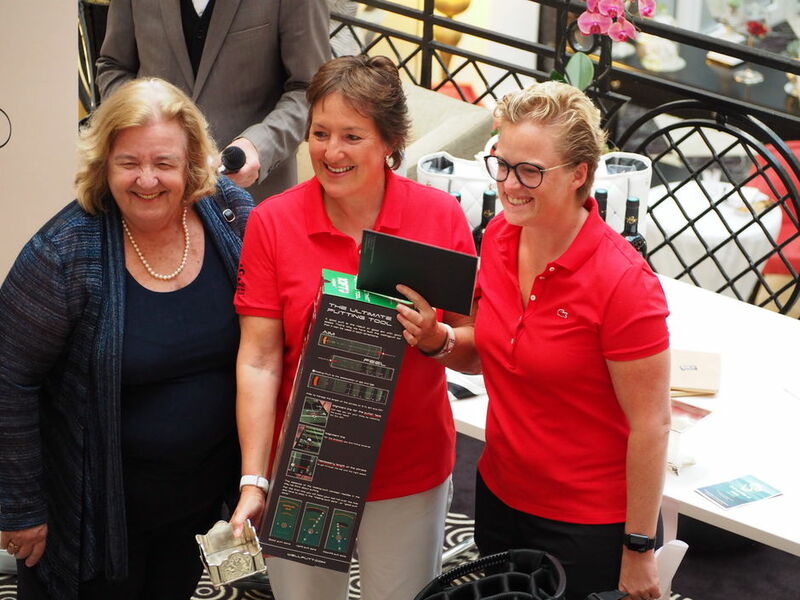 This report wouldn’t be complete without thanking Debbie Warren (whose Birthday happened to be on the day – such dedication) for all the chocolate goodies that she left with me to be given out to ALL players on the first tee. Thanks Debbie and hope your birthday celebrations lasted at least all week. This was a “Home” Fixture for the SLCGA and was played at Enville G C. For once, there was no rain! This was our first game of the season as our previous fixture had to be postponed. Occasionally the County Ladies cannot get a complete team and this year we (The Vets) supplied three players to play for the County Ladies. I am sure that we all benefited from playing at Enville and honed our 4BBB match play instincts ready for the season. Thank you to SLCGA 2nd Team for their hospitality and to Captain Debbie Loach for organising this event. Very well done ladies – onwards and upwards. We hope the following will give a little guidance on how we go about selecting the teams each year. If by any chance you don't get the chance to play in a match please don't let it put you off for next year. The first thing is that you must have ticked the box on the membership form which indicates that you would like to be considered for matches. During February you will be contacted by the team captains for your availability. It is important that you respond promptly as the captains need to collate all the responses and make their selections. The more availability you submit the more likely you are to get selected. All fixtures are for teams of 16 players (8 pairs) apart from the 1st Team match against the County Ladies 2nd Team which is 8 per side (4 pairs) and The Snelson Trophy which is 20 per side (10 pairs). 1st Team – The selection for these matches is done by the Captain. The matches against Worcestershire & Hereford; and Warwickshire are played off Scratch and, therefore, selection is in handicap order. The lowest handicap players available are selected to play against the County Ladies 2nd Team. The fixture against Leicestershire is also likely to be played off Scratch. In the other matches we try to get a mixture of players so that everyone gets a game during the year. The selection for the fixture with the County Senior Men is by invitation. 2nd Team – The selection for these matches is done by the Vice-Captain. We have a very nice “problem” in that we have lots of members who wish to play, this does however mean that not everyone may get a game. The two cup matches against Worcestershire & Hereford and Warwickshire are done strictly in handicap order. This leaves two friendly matches against Leicestershire and Derbyshire where we try to get a mixture of players. The Snelson Trophy is a match against the Vets 1st Team and for this match we select the committee members with handicaps higher than 14 and then a mixture of players to make up a team to 20 players (10 Pairs). All second team matches are 4BBB and are played using handicap allowances. 3rd Team – We have the same procedure as the 2nd Team friendly matches. The match is a 4BBB and played using handicap allowances. At present (2018) we have only the one fixture against Northamptonshire but, we are trying to get more. This will however depend on other counties. I’m sure everyone wishes them all a happy and successful 2018 with lots of good golf. Our thanks go to our past President, Mrs Brenda Parker, and our past Captain, Mrs Ann Tweddle. Both of them have been brilliant and provided invaluable support to the association and all the teams. It was lovely to see so many people at the AGM this year. The Annual match versus the men at The Staffordshire was once more a very successful day. This was rescheduled from March when it had to be cancelled due to torrential rain. How different from today when the weather was amazing especially as we are at the end of October. Unfortunately the result of 3½ to 4½ does not reflect the spirit in which the game was played as there was great camaraderie between each 4 ball. Once more the trophy stays at The Staffordshire. Captain, Mike Evans, had organised the day well. We had a very good meal which was followed by some amusing stories by Mike. An excellent day was had by all and a fixture that hopefully will continue for many years. This was our last match of the year and an opportunity once more to thank all the ladies who have played. 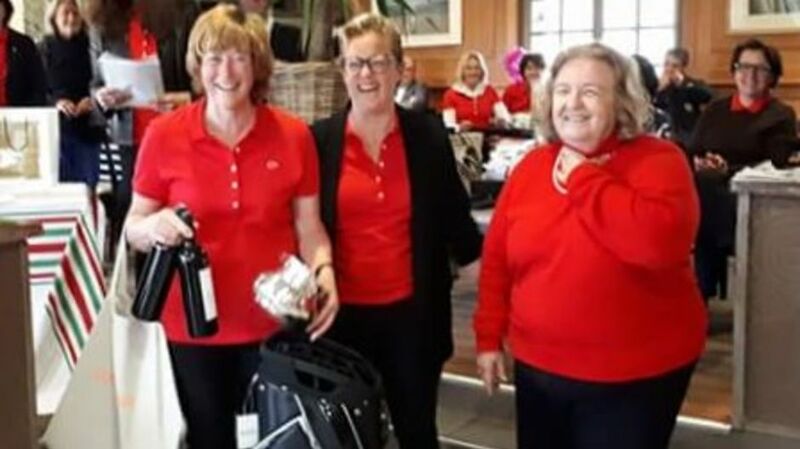 The Ladies played Staffordshire Senior Gentlemen at Trentham Golf Course in an AMAM 90% handicap with one lady and one gentleman to score on each hole. On a very warm morning we witnessed an unusual sky with an orange sun as Storm Ophelia past over the country. We were spared any rain but the wind whipped up the leaves which were whizzing past us as we attempted to play the ball. It was an excellent day, organised by Terry Henwood with the Gentlemen treating us. As usual the men were very hospitable and entertained us with their humorous stories and jokes. Sue Spencer, Ann Tweddle (Captain), Andrew Dathan (Chairman) and Stuart Belcher came in with 83 points to take first prize. The second prize went to Di Gillen, Bridget Locke, Warwick Holland and John Deakin. My thanks to Brenda Parker, President and all the ladies who played. 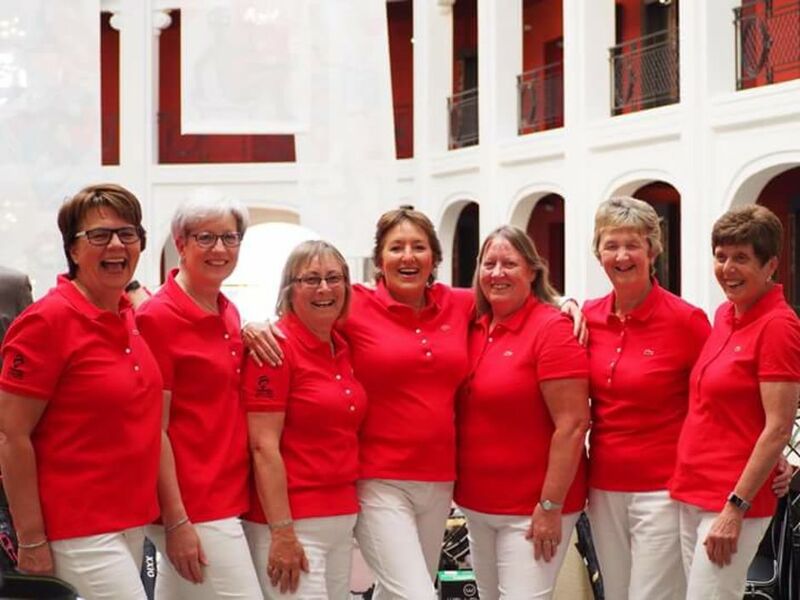 Staffordshire ladies stormed to victory with a fantastic score of 469 at the Midland Counties Championship which was held at Sheringham Golf Club, Norfolk; it was held over four days with practice rounds on Sunday & Monday. The main competition, which was medal play, ran over Tuesday & Wednesday in teams of four with three scores to count in each team. Eleven counties took part in the competition. Conditions were difficult with very strong winds on both days, which did not deter the 1st team of Bev Chattaway playing off 4, Sue Spencer 4, Sally Sketcher 6 and Caroline Corrigan 4. Also representing the county in a 2nd team were, Mary Robertson, Bridget Locke, Sue Simmons & Jayne Fletcher with a very creditable score of 502. Bev Chattaway had best gross on day one, with Sue Spencer winning the longest drive. Sally Sketcher had the best individual nett on day one & two which reduced her handicap 0.4. The 2018 fixtures are now available to view on the events page. 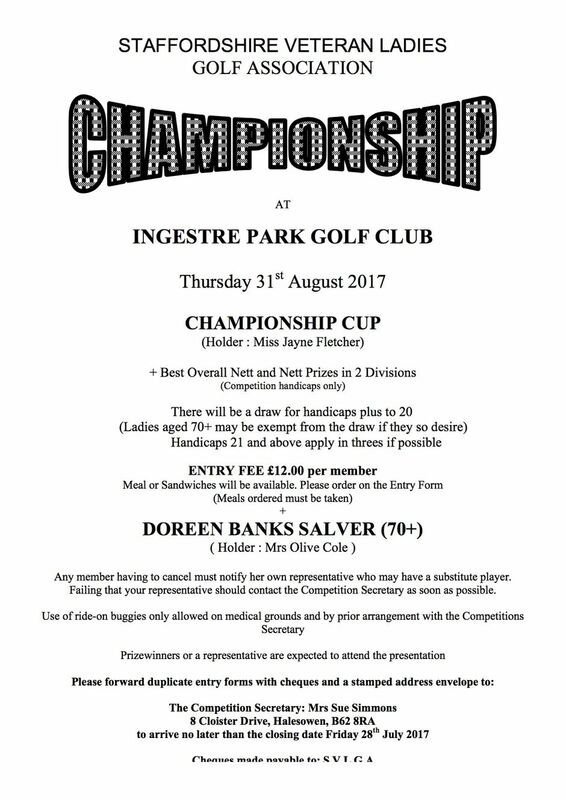 The Championship was held on Thursday 31st August at Ingestre Park Golf Club. The course was in excellent condition as always and apart from one or two rain showers we had some good spells of sunshine. 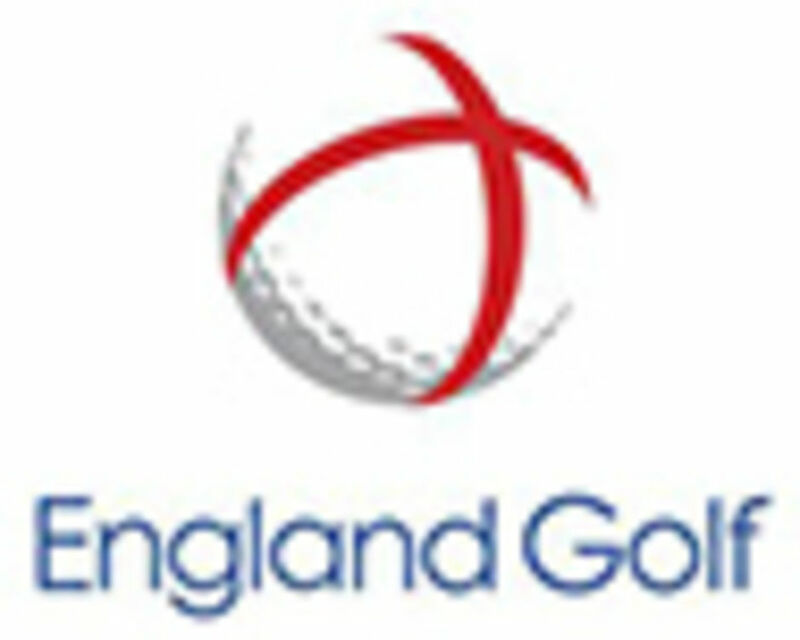 The match was held at Walsall Golf Club. My thanks go to all the staff and lady members, including the Lady Captain, who were there to look after us. The match was very competitive with four matches going to the 18th hole and two matches ending All-Square. With the result a 5:3 win to Staffordshire. This turned out to be a bit of a nail biting match as Warwickshire had beaten Worcs. & Hereford and the latter had beaten us earlier in the season. So there was all to play for in retaining the Tri-County Trophy. As it now turns out Worcestershire & Hereford have snatched the trophy back by ½ a point. It says a lot for Veterans Golf that over all these fixtures there was only one point separating the three counties. The weather forecast was for a bright sunny day and, although it started out by being overcast, with a modicum of drizzle, it eventually turned out to be very pleasant. My thanks go to all who played, especially those for whom it was their first match. I hope you all enjoyed it. Also to Lady President, Brenda Parker and Past President and current committee member, Chrissie Hopkins for all their support and help on the day. Kirby Muxloe was a beautiful course to have our final County Match of the season. Upon arrival Leicestershire made us very welcome and the eight matches went off on a dull but dry morning. President Brenda and Captain Ann saw all the matches on the first tee, again as they reached the ninth green and finally as they came off the eighteenth. Everyone seemed to get on very well and once more the matches were played in a friendly but competitive manner. 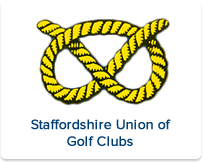 Thanks to all the Staffordshire Ladies for playing and resulting in a win of 6½ to 1½. The Jamboree this year was held at Frilford Heath Golf Club in Oxfordshire. The members of the Midlands team were Tracy Bourne, Julie Brown, Caron Harrison, Helen Lowe, Mary MacLaren, Sue Spencer, Debbie Warren and Carol Wild. Staffordshire Vets was well represented in the team with three Staffordshire Vets being included in the team of eight, namely Sue Spencer, Debbie Warren and Julie Brown. The practice round was on Monday in beautiful weather but by Tuesday the weather had turned and the 36 holes was played in monsoon conditions. For those that do not know the format each day is three matches of Foursomes in the morning and six singles in the afternoon. The Midlands played against the South on Tuesday and won the day 5½ - 3½. On Wednesday we played against Scotland and won 6½ - 2½ in the same dreadful conditions. It was not easy. On Thursday we played The North in much better conditions. We needed a win or a half to secure the trophy. The morning Foursomes were lost 2½ - ½ so we needed to win four of the singles matches in the afternoon. A tall order as The North are a very, very strong side. Things were not looking too good at the beginning but we battled and won the first three matches. The next two matches were lost so all depended on the very last match. It was extremely tense and came down to the very last putt on the eighteenth. 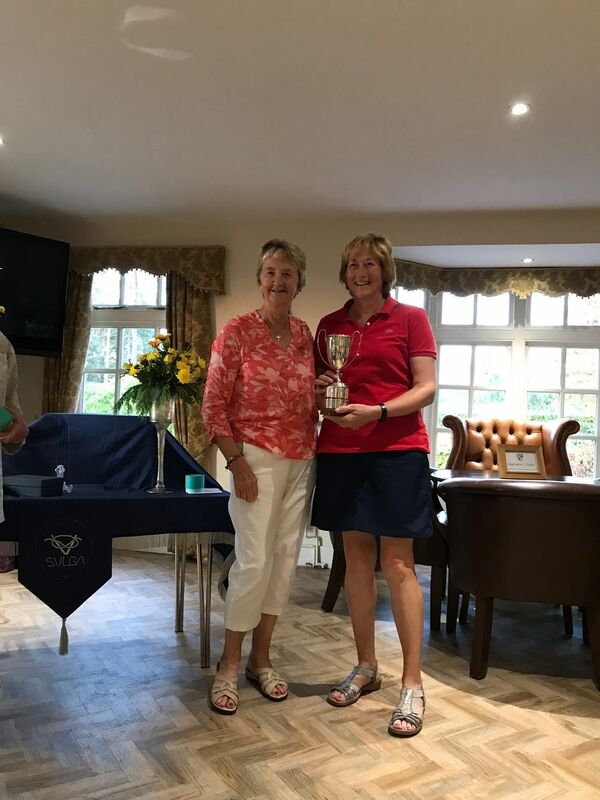 Julie Brown won her match, Debbie Warren won her match and Sue Spencer holed her putt on the eighteenth to secure the trophy for the Midlands. Fantastic result. Well done to all the team. Should anyone like to see the full results for each day these can be seen on the MVLGA website. At last a match without any rain! A lovely sunny day, Handsworth golf course played long following heavy rain the previous day. The Ladies from both teams had very close matches which culminated in a win to Staffordshire 4½ to 3½. Once more the matches were played in a friendly yet competitive manner. Having previously won against Worcester & Hereford we have now retained the Trophy. Captain Ann & Vice Captain Christine supported the team. The match was followed by an excellent meal. The catering was much appreciated both on arrival and for the evening meal. The match was held at Westwood Golf Club whose Staff brilliantly catered for our every need. As usual there were 16 players in the team and the noise around the tables before and during the match dinner reflected the spirit in which the match was played. A great advert for Veterans golf. The weather generally was a bit of a concern as it seemed to be raining or drizzling for most of the day and the Course, not surprisingly, was getting a little soggy in places. In the end I think we were very fortunate with the weather. My thanks go to all who played, especially those for whom it was their first match. Plus, a welcome return to playing for the team for Madame Captain, Ann Tweddle. 121 Ladies from 21 clubs played at Uttoxeter Golf Club, the home course of our Captain Ann Tweddle. The day went well thanks to the excellent organisation by the competition secretary, Sue Simmons. The Met Office was forecasting thunderstorms which thankfully stayed away & apart from a short spell of rain, early evening, the day progressed well. Uttoxeter golf course was in excellent condition and thanks go to the greenkeepers and many volunteers for preparing the course. The Spotters, Starters and helpers contributed to a very friendly feel to the day. The 12th Hole provided much merriment and a chance for the golfers to rest their legs. President Brenda & Past President Chrissie Hopkins did a great job in helping serve scones and drinks. There was a good atmosphere in the Club House where the presentation of prizes took place. On a lovely morning we set off to Newcastle Golf Club for the First team to play the Second team for the Snelson Trophy. Each team had 20 players. The format for the day was a 4BBB Stableford. We were delighted to have President Brenda Parker & Past President Chrissie Hopkins to see us off on the first tee and meet us at the halfway house on the ninth. Our good weather declined rapidly, turning into a deluge, which then found the course struggling to let the water soak away. However, this did not deter the teams from completing their rounds, and a narrow victory for the first team with 379 to 376 points. This meant that the First team regained the Trophy from the Second team. Following the match we had an excellent meal in the Club house with plenty of time for good fellowship. On a very grey morning we arrived to a warm welcome, at Trentham Golf Club, by the Lady Captain, Sally Sketcher. Once more we had rain for the first part of the matches and at the turn there were some very close scores. However Staffordshire must have dug their heels in to come away with a very good win of 7½ to ½. The Derbyshire team were very friendly and both teams enjoyed the course. Once more President Brenda, Captain Ann & Vice Captain Christine Davies were on hand to support the team. The match was followed by an excellent meal with both teams thoroughly enjoying a very good natured atmosphere. The date of the next delegates meeting will be on Monday 12th February 2018 and the 2018 AGM will be held on Monday 12th November. Following the heat wave the country had experienced during the previous week, we arrived at Wrekin Golf Club to grey skies and a considerably cooler temperature. The Lady Captain of Wrekin very kindly welcomed President Brenda & myself to their Club. Despite the rain for the first three hours our Ladies all had very good matches with the Shropshire team and we were delighted to win 5-3. President Brenda & Captain Ann supported the team, with Brenda kindly acting as starter & ensuring all the matches went out on time. The match was followed by an excellent meal with both teams thoroughly enjoying the fellowship. Ingestre Park golf course was in excellent condition with very slick greens and thanks go to the greens staff for their hard work in preparing the course for us. Many thanks go to all the helpers on the day - Jean Livingston, Ann Tweddle (Captain), Jenny Cordon and Chris Hopkins who did a sterling job helping our President, Brenda, to keep us plied with Pimms and wonderful cupcakes at the halfway house. Many thanks to Brenda for the Pimms, cakes and biscuits and many congratulations Brenda on a great day! The Nellie Wood Trophy was played at Handsworth Golf Club this year on Monday 22nd May and we were very fortunate to enjoy some lovely sunny weather for our first competition of the year. The Nellie Wood Trophy was won by Catherine Weaver (South Staffs) with 38 points. The Vintage Salver was also won by Catherine Weaver (South Staffs) with 38 points. 1st Pat Watson (Uttoxeter) with 37 points. Our thanks go to Handsworth Golf Club for allowing us to host this event at their club and also to the Greens staff for preparing their course in such excellent order. Many thanks to Brenda Parker (Vet's President), Ann Tweddle (Vet's Captain) and Pat Wallington (Handsworth delegate) for all their invaluable help both in the organisation of the day and for the very efficient help they gave on the desk all day. The match was held at Trentham Park Golf Club who did everything possible to cater for our needs. Thank you to their Lady Captain Shirley Thomas for helping with arrangements. As usual there were 16 players in the team and the banter and noise around the tables at the after match dinner reflected the excellent spirit in which the match was played. The weather at the start of the match was a little worrying as rain was forecast for most of the day. However, the showers were brief and as the day progressed they ceased all together. The Course was as tricky as ever, obviously more so for our opponents, thank goodness. My thanks go to all who played, especially those for whom it was their first match. A special thank you to our Captain, Ann Tweddle, who played for Leicestershire when they were short of a player. As always a huge thank you to our President Brenda Parker, who never fails in her support of the team, both for Home and Away matches and who was there for the whole of the day. On a cool but bright May morning Staffs Vets travelled to Brampton Heath to play a 3rd team match v Northamptonshire. With a number of debutants in the team, nerves were running a bit high on the first tee, especially as the County President, Captain, Vice Captain and Past Captain were all in attendance. With the strength in depth of Staffs vets the team were giving shots in all the matches. The course proved to be quite tricky with a number of holes having water. At the turn most of the matches were fairly close, but the Staffs team dug in and managed to complete a 5 ½ to 2 ½ win. A happy team sat down to a very pleasant meal and with the volume of the chatter at the tables I am sure all the participants enjoyed their day. President Brenda, Captain Ann & Vice Captain Christine supported the team. The match was followed by an excellent meal with both teams mixing extremely well. President Brenda and Captain Ann supported their team. The match was followed by an excellent meal enjoyed in good company. The match was held at Kings Norton Golf Club who were extremely welcoming. For those who know Kings Norton it has three, nine-hole loops. We played the Blue and Red Course. There were 16 players in the team and each match was played in a friendly but, competitive spirit. The result does not quite give the whole story as six of the eight matches went to the eighteenth hole. Well fought ladies. The Course was in excellent condition and, as was mentioned by a few of our players, the greens were a little difficult to read. As a Home Match for our opponents, they were able to field a number of players who were either members at Kings Norton or, who played there regularly. We were blessed with fine weather, even if there was a chilly wind. My thanks go to all who played and to our President Brenda Parker and Captain Ann Tweddle, who were there for the whole of the day. The match was held at Perton Park Golf Club who made us very welcome. There were 8 players per team with the Vets providing the eighth player for the second team. Unfortunately, we lost 4 Nil but the result does not reflect the standard of play. The matches were very close and played in a competitive but friendly manner. The weather was good with a strong north wind. This was our second match of the season as unfortunately our match against The Staffordshire Men was cancelled due to extremely wet conditions. President, Brenda Parker & Captain, Ann Tweddle watched the matches during the day. It was an enjoyable day with a very substantial meal provided by the catering staff. Would members requiring new uniform for 2017 please contact Mrs Jenny Cordon as soon as possible especially if they need a jumper as these will have to be ordered in batches. We are pleased to welcome our incoming captain for 2016/17 Mrs Ann Tweddle and her Vice Captain Mrs Christine Davies. We wish them every success for the forthcoming season. Hopefully the Staffordshire Vets will have a fantastic year as they have done this year. We also welcome to the committee Elaine Dorrington and Sally Sketcher. Our thanks go to the retiring members of the committee, Gina Foster, Sue Macmillan and Penny Speer, for all their hard work over the last three years. A massive congratulations to the Staffordshire ladies on winning the team championships again. The team was made up of Sue Spencer, Sally Sketcher, Corinne Tooth and Caroline Corrigan. They were first with a gross score of 477 with Northamptonshire coming second with 479. Sue Spencer won the Best gross prize with 154. A special mention should be made for her 1 under par 74 score on the last day - Fantastic. Sue and Sally Sketcher also won the Monday Greensomes competition. Congratulations to our first and second teams both of whom have won their respective Tri Counties cups against Warwickshire and Worcestershire. The 3rd team also won their fixture against Northamptonshire at Penn Golf club. A great year for Staffordshire and we look forward to 2017. It is with sadness that we have to inform members of the death of Mrs Nan Webb on Tuesday 27th September. 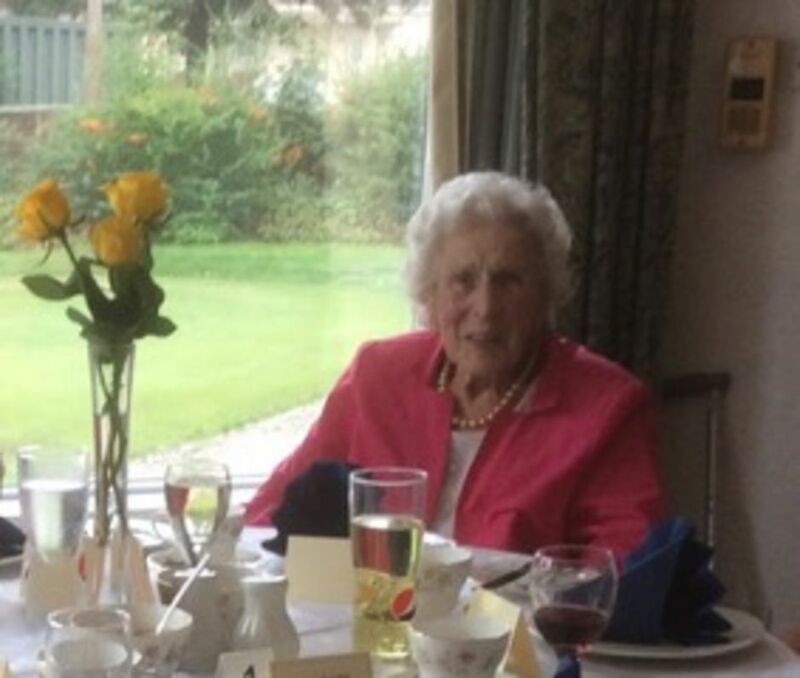 Nan was a member of Stone Golf Club and was for many years a keen golfer and valuable member of the Staffs Vets. Please see 2017 fixtures under the "Events" tab. Our final competition for 2016 was the Championship held at Walsall Golf Club on Monday 1st September. We were fortunate to have pleasant weather on this day and the course was in very good condition. The winner of the Championship Trophy was Jayne Fletcher from Whittington Heath with 79 gross. The Doreen Banks Salver was won by Olive Cole from Stone with 90 Gross. The best nett prize was won by Janet Fleetwood from Oxley Park with 68 nett (back nine 34). We would like to thank Walsall for allowing us to host this event at their club and also to the greenkeeper and his staff for presenting the course in such good order. Thanks also to Penny Speer who provided invaluable help in the organisation of the event and the ladies for manning the halfway house providing drinks and cakes which were enjoyed by all of us. County Vets Lady Captain’s Day was held at Whittington Heath GC on Thursday 18th August. The weather was kind and it was a lovely warm sunny day with just a light breeze, perfect playing conditions. A large field of 147 players enjoyed the course, which was in wonderful conditions with the greens playing beautifully. The halfway house, manned all day by Vannessa Humphries, was well received, particularly the homemade biscuits/shortbread made by Jean Hulme & Cynthnia Tipper. Jean had also provided flower arrangements, in County colours, for the clubhouse. Many players enjoyed the fare offered by Andy & his team all day. Back 9 Diane Gillen, Rose Mycock and Jackie Menon (Stone) with 44 points. Glynis said of their magnificent winning score that it was one of those days when everything went right for all 3 of them. Thanks to Sue Simmons for organising the day and to everyone else who helped on the day. Also thanks to all those who sent me lovely cards with their best wishes. All in all it was a great success. Our fifth and final match this season was hosted by Warwickshire at Maxstoke Park Golf Club, who made us very welcome. Warwickshire’s Captain, Jane Timberlake, organised the match extremely well and stayed to watch all the teams on the first tee. One of our lower handicap players had successfully reduced her playing handicap to 13 and after the controversy last year was unable to play for the team. Having already lost two further players this week, it was very good of members to step in at the last moment. In the friendly matches we won against Leicestershire and halved with Derbyshire. Thank you to all the ladies who have played in the Cup and friendly matches. A very successful year. County Vets 1st Team v Leicestershire held at Trentham Park GC on Monday 22nd August. Another lovely day, warm & sunny with just a light breeze. The Staffordshire team was missing some of the “big guns” but the rest of the squad were keen and eager to play. Playing a scratch match the Staffordshire team had the advantage in handicaps in all the matches, and obviously played well to convert this advantage into wins. The final result being 7 ½ to ½. Well done to all the team and this shows the strength in depth of the Staffordshire squad. This match rounds up a season where the team has been unbeaten in all the inter county matches. The only slight blip has been the draw against Worcestershire. This means that the destination of the Tri County Cup rests on the result of the Warwickshire Worcestershire match. My thanks to all the 46 ladies who have played for the team this season. Our fourth match this season was hosted by Mickleover, who made us very welcome. As we arrived the heavens opened but only until our first group went out for their match. It was then dry with some sunny intervals. The match was a draw and the two teams had enjoyed their afternoon. We were delighted to see Jenny Smale, our Captain, at the turn to support us. It was much appreciated. The Cup match v Warwickshire was held at Copt Heath on August 12th on a beautiful sunny day. Having only drawn against Worcestershire, Staffordshire needed a good win to increase their chance of retaining the Cup they won last year. Unfortunately one or two of the lower handicap players were unavailable but the same applied to Warwickshire. The matches were played in a friendly but competitive spirit. The Staffordshire team played very well throughout the order. Warwickshire only managing to draw at 3 and win 1 up at 5. All the other matches were fairly comfortable wins to Staffordshire. The final result being 6 ½ to 1 ½. This means that the final destination of the Cup will rest with the result of the Worcestershire Warwickshire match in September. The now annual match with the first team against the second team is a very enjoyable day and allows a number of the Vets County players of both teams to meet up and play. In the preceding years it has been a match play event with the 1st team winning handsomely. To make it a more friendly event we decided this year to make it a 4 ball better ball stableford, with the total team points deciding the winners. In a generous mood we agreed to have full handicap allowance rather than the correct 90%. The day was blustery with showers and Ingestre Park was playing its full length. The 2nd team managed to make full use of their handicap allowance and ran out winners by 361 points to 348. Congratulations to the 20 players in their team, who outpointed the 1st team in 7 of the 10 matches. All the players agreed that this format should be kept for next year, although Madam Captain did suggest that the 90 % will be used! The day was rounded off with a very pleasant meal in the Clubhouse. My thanks to Ingestre Park for hosting this event again and for being so accommodating. A great day on a very interesting and challenging course. Cavendish golf club certainly makes you think! There was a warm welcome from the Derbyshire team, who were also very understanding as many Staffordshire players were caught up in traffic problems around Meir and were running late. I had again not played most of the top players to make the match more competitive and to give other ladies a chance to play in a County fixture. Jayne Fletcher & Ann Fern narrowly lost at 1, Jenny Smale & Sue Simmons had a comfortable win at 2, matches 3, 4 & 5 were all square, so again the result depended on the last 3 matches and fortunately Gill Lawson & Bev Smith and Elaine Dorrington & Jayne Baxter both managed to win in very close matches to make the result 4 ½ to 3 ½. The weather turned to rain before the match was finished but the roast carvery dinner warmed everyone up. All in all a very good day. We managed a great 4½ to 3½ win having agreed with Shropshire not to play our top 6 players. The match was played at Whittington Heath and the course was in great condition. The matches were all competitive and the food was great which all added up to a super day which everyone enjoyed. The Nellie Wood Trophy was played this year at Ingestre Park Golf Club on Monday 23rd May. The weather was very good and we we all enjoyed some lovely sunshine. The competition was oversubscribed and once again we had to ballot some ladies out. The Vintage Salver was won by Glynis Byatt (Trentham) with 35 points. Our thanks go to Ingestre Park Golf Club for allowing us to host this event at their club and the greens staff for preparing the course in such good order. Thanks also to Sarah (Manager) and Brenda Parker (Vet's President) for all their invaluable help in the organisation of the day. After the great success of the first third team match last year played against Northamptonshire, Staffordshire Vets 3rd Team again played against Northamptonshire this time at Penn Golf Club on Thursday May 19th. This year the weather was a lot kinder and the ladies only had a few holes which encountered rain. A number of ladies were playing their first ever Vets County match and it was a delight to see the excitement and pleasure on their faces. The ladies integrated well, made new acquaintances and played some very competitive golf. Penn Golf Club made everyone extremely welcome and provided excellent food before and after the match. A great day was had by all. The ladies who played were: Diana Jeynes, Lily Gant, Chris Hopkins, Pat Mumford, Gill Clarke, Penny Toal, Sue Whitworth, Jude Pearce, Di Horsley, Val Suarez, Sheila Harling, June Stonehouse, Lyn Toft, Vicky Plews, Brenda Yates and Sue Butler. The result was Staffordshire 5 ½ to Northamptonshire 2 ½. A big thank you to Jenny Cordon (Staffs) and Gina Evans (Northants) for arranging the fixture. Hopefully this fixture will take place again next year in Northamptonshire. The Staffordshire ladies excelled themselves at the Midlands Vets Championship featuring in the prizes as follows. Leicestershire gave us a very warm welcome. The course was in excellent condition and everyone thoroughly enjoyed their game. At the 11th hole Staffordshire were all square in four matches, up in two and down in two, making the match all to play for over the remaining holes. Staffordshire eventually claimed the victory by 5 – 3. An excellent result. Thanks must go to all of the players who had to change from playing on Friday the 13th May to Monday the 16th May, especially those who stepped in at the last minute. Thanks also go to our President, Mrs Brenda Parker for being Captain for the day as our Vice Captain was away. The result from the 1st Team match v Worcestershire was a 4 all draw. With the result hinging on the last putt on the 18th green from the group out 8th,. Staffordshire managed to get a win to secure the draw. It was a lovely sunny day and Handsworth GC was in great condition for the time of the year, and gave us a great welcome. The first home match against Worcestershire was a cup match and hosted by Barlaston, who made us very welcome. The team picked itself on this occasion as there were only 18 ladies available. We were down to 16, on the day, following injury and illness. We were delighted that the course was open as the previous week had been very wet and the course had been closed. The day was dry and Staffordshire won 6 – 2. The President and Captain of Worcestershire along with our President, Brenda Parker, followed the matches. Vets v County 2nd Team played at The Chase GC on 7th April 2016. Conditions were not favourable after heavy overnight rain, and intermittent showers carried on throughout the match. However both teams set to and had a very enjoyable and competitive match. The format used was a better ball stableford with a team points total, to ensure a full 18 holes were played in each match. Debutants Debbie Warren and Ann Fern drew their match against Rachel Bishop & Anne Edwards at 1, as did Jenny Smale & Bridget Locke v Lynn Grey and Loren Birch at 2. Bev Hensley & Mandy Ambert scored a very credible 36 points but opponents Gina Wilke and Emily Brennen had an outstanding 40 points. Mary Robertson & Chris Davies played well but found Deb Loach and Torri Smith just a little too steady. Team totals 2nd team 145, Vets 136. Scones, jam & cream were very welcome afterwards and made up for the miserable weather. I’m sure everyone wishes them all a happy and successful 2016 with lots of good golf. Our thanks go to Mrs Jenny Cordon, our past Captain, for a brilliant year and also our past President Mrs Lily Gant both of whom have been invaluable. Please see all 2016 fixture dates under the 'Events' tab. The team championships took place at Beau Desert Golf Club. This year there was a record entry of 16 teams, with 6 counties entering 2 teams. It was a bright crisp, sunny morning on the first day. Beau Desert had provided a lot of helpers and this proved most useful as many players were held up en route due to a major accident and much reorganising had to be done. There were some good scores returned and everyone got to see the course. On Day 2 the weather again was beautiful, but quite cold. The greens were proving difficult for most players but again there were some good scores returned and the leading county were Northants by 2 shots from Notts, with Caron Harrison from Notts taking the individual lead followed closely by Sue Spencer, Mary McLaren and Karen Lobb on 79. Staffs 1st team came second overall with 488 points being tipped to first place by Northants with 485 points. 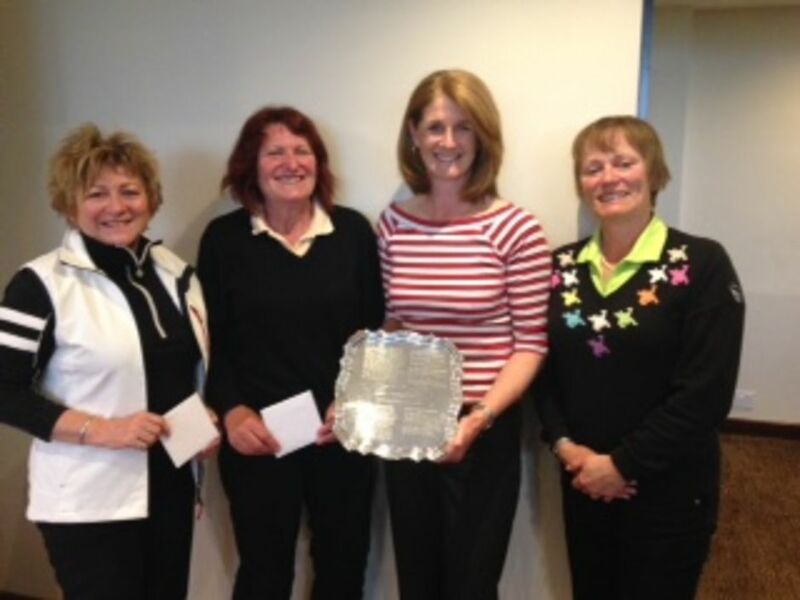 Jayne Fletcher and Bridget Locke won the Greensomes competition held on the Monday. This was played at Whittington Golf Club on Monday 19th October. As for the last two years the competition was set as a 4 ball am am with two vets ladies playing with two gentleman seniors and the best lady score to count along with the best gentleman score to count. 18 ladies enjoyed the company of 18 fine gentleman played on a lovely course in very favourable weather conditions. All were treated to an excellent three course meal, very good liquid refreshment and amazing after dinner speeches. 1st place went to Jean Greenhalgh and Jayne Fletcher who played with Stuart Belcher and Andrew Dathan. 2nd Place went to Mary Robertson and Chris Allsop who played with Duncan Stott and Dave Gallimore. President's Day was held on Tuesday 16th June at Drayton Park Golf Club. The weather on this day was glorious and a lovely day was had by all. We had an excellent turnout with 132 ladies taking part - great support for our Lady President, Lily Gant. Thanks go to Lily for a great day and the lovely refreshments at the halfway house - especially the wonderful homemade cakes! Lady Captain's Day was held on Wednesday August 19th at Leek Golf Club. The weather on this day started off dry and sunny but by lunchtime it was already showing signs of rain which deteriorated very quickly into a very wet afternoon. However, the day once again was enjoyed immensely by all competitors with another excellent entry of 153 ladies. Thanks again go to our Lady Captain, Jenny Cordon for a lovely day and an excellent halfway house with beautiful cakes and savoury nibbles, not forgetting the very welcome glass of Pimms! The Vet's Championship was held at Brocton Hall Golf Club on Thursday 3rd September. The weather on this day was dry and although fairly sunny it was quite chilly. We had 102 entries which was a good entry for the Championship. who helped on the desk all day and did a sterling job. The final matches of the year have now been played ( with the exception of one friendly match). The first team had a great win 7 – 1 against Warwickshire. This was played at Ingestre Park Golf Club. This win meant that Staffordshire retain the Inter county trophy. A great achievement. The final first team match was played against Leicestershire at Lingdale Golf Club, a 4 all draw. The second team finished the season with a match against Derbyshire at Sandwell Park Golf Club and a match against Warwickshire at Handsworth Golf Club. 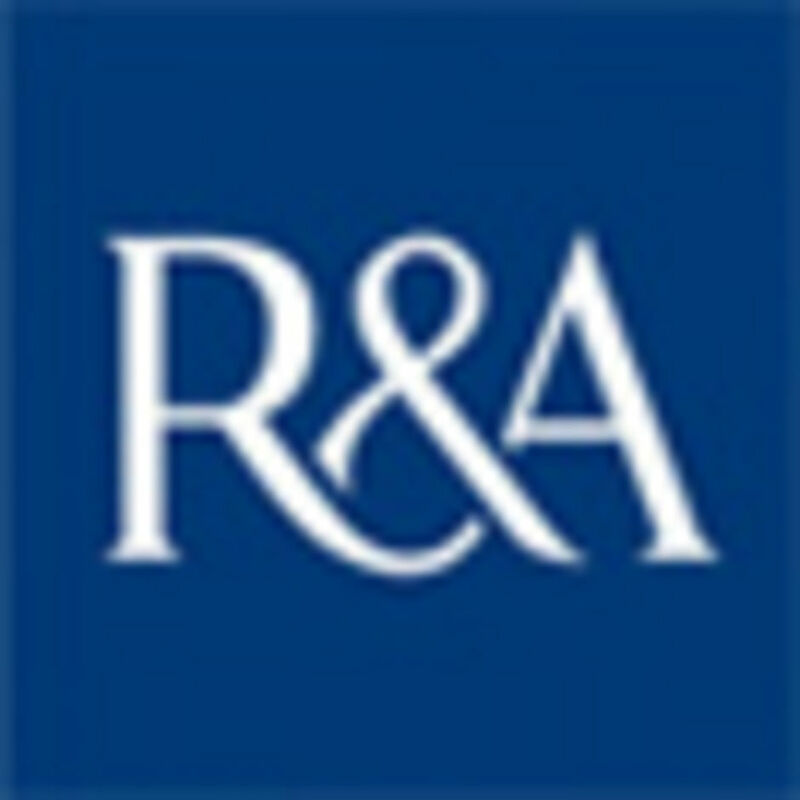 The Derbyshire match was a win 4 ½ to 3 ½ and the Warwickshire match was a loss 3 ½ to 4 ½ . In total 56 players played for the second team which is wonderful for county vets golf. We now look forward to 2016. Jenny Cordon - Lady Captain of Staffs Vets held her Lady Captains Day at Leek last Wednesday. An amazing number of 158 ladies entered from 24 clubs throughout Staffordshire along with Lady President Lilly Gant. The day started early with Club Captain Mr Trevor Eccleston seeing the first ones off at 8.50 and he continued his role of starter throughout the day until the last ones teed off at 3.40pm. A massive big thank you to Mr Captain. The day started with glorious sunshine and those playing early benefited as it began to rain really heavy from 4.00pm on wards. Jenny provided a well stocked half way house ably served by Carol Nixon, Lisa Davies, Issy Robinson (who was a star), Marilyn Boulton, Claire Robinson and Karen Griffiths. Leek Golf Club Lady Captain Jayne Baxter helped on the desk with raffle tickets and meals along with Lady Vice Captain Pat Beeson and Janet Wood. Once again a MASSIVE thank you to those ladies. Over £300 was made on the raffle. Food was served throughout the day and we were very well looked after by the bar staff. Another massive big thank you to those ladies. Many thanks to Sue Simmons for all the pre competition provision. The competition was teams of three, full handicap, stableford, two scores to count. The Vets second team played against Derbyshire on the Monday 10th August at Sandwell Park. It was a really enjoyable day ( apart from a torrential downpour which lasted about 15 minutes). The result was a win for Staffordshire 4 ½ to 3½. Thanks to everyone who played and especially to Peggy Meek who stood in as team Captain because Jenny Smale was unable to be there due to work commitments. Thanks also to Sandwell Park for hosting us. This competition was played at Oxley Park Golf Club on Monday 11th May. The weather first thing was a little dull and drizzly but the sun soon brook through to give us all a pleasant days golf. However, the course proved to be tough for most of us especially the tricky greens. Result: The Nellie Wood Trophy was won by Megan Hughes (South Staffs) with 38 points. The Vintage Salver was won by Jane Jones (Aston Wood) with 37 points. Our thanks go to Oxley Park for allowing us to host this event at their club and the greens staff for preparing the course in such good order. Thanks also to Janet Fleetwood (Lady Captain) and Sandra Redrup (Vet Rep) for all their help in the organisation of the day. This competition was held at our Lady President's (Lily Gant) course Drayton Park on Tuesday 16th June. The weather on this occasio was a scorcher and once againthe course proved to be tough for most of us with scores generally on the low side. Thanks go to Drayton Park for allowing us to hold this event at their club and also to the greens staff for the excellent condition of the course. Our thanks to Lily for all her help in the organisation of the day and for the lovely prizes. Many thanks also to Lily for providing the much appreciated refreshments at the halfway house, especially the lovely homemade cakes.